Engage teachers at the highest international level. Recruit talented students and young musicians within piano and chamber music from all over the world. The Kristian Gerhard Jebsen Foundation is a Bergen-based foundation established to honour the memory of Kristian Gerhard Jebsen and his contribution to Norwegian and international shipping and business. Aud Jebsen has taken the initiative to establish the foundation together with her three sons. After its creation in 2009, the Kristian Gerhard Jebsen Foundation concentrated its support on projects within the fields of medical and maritime research. Since 2011 the foundation has also reached out to the performing arts. A common denominator for its engagement is a vision of contributing to the realisation of projects on the highest international level. 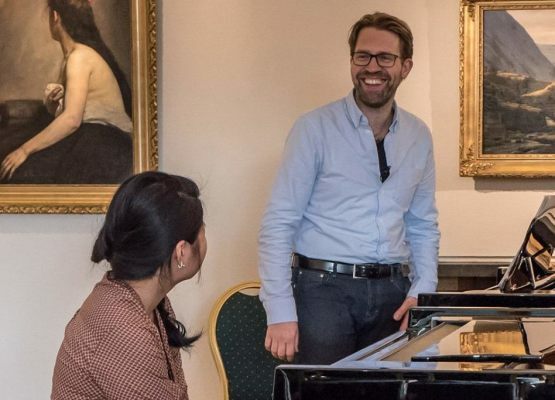 The Professor Jiri Hlinka Piano Academy is grateful for being selected to be one of the arts projects granted generous support from the Kristian Gerhard Jebsen Foundation, and are looking forward to a fruitful and mutually beneficial collaboration with the foundation.